Thank you to everyone who came to the 2019 SCEF Gala! The Gala was held at the Tucson Convention Center on April 6, 2019. It was a fun-filled night with dinner, drinks and dancing with a "Swanky Affair" 60's theme. We would like to give a special shout out to Gala Chair Jennifer Barner, Vice Chair Kristin Tomlinson and the Gala Committee for planning such a fabulous night. Please enjoy the photos below of the Gala festivities. 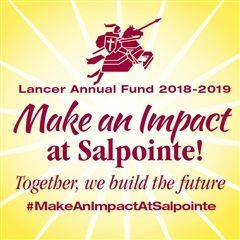 Thank you for your support of the Salpointe Catholic Education Foundation!